A North American wildlife museum with 150 lifelike wildlife animals such as mountain lions, beaver, elk and polar bear in their natural settings. Gaylord. 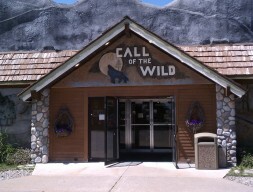 800-835-4347, gocallofthewild.com.